A very good range of real ciders on offer. Pennard and Cramps, two more, and Oliver's perry. Good beef pie and chips, too, and a jacket spud with vegan curry. 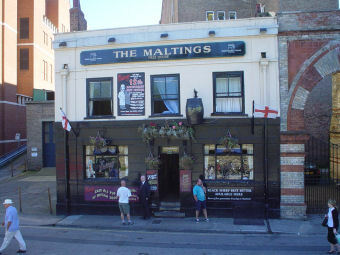 Sorry to find the Maltings no longer serves the excellent Biddendens cider which it had for many years. It still stocks real ciders, but not such good ones. 3 days in York. 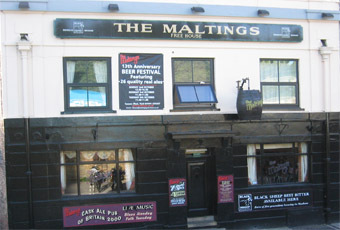 Visited the maltings everyday. Why ? Cos it's great. Excellent choice of ciders and a range of characters. Clean and friendly. What more can you ask ? Excellent as usual. 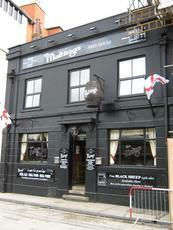 Not only excellent cask ales but great food too. Always worth a visit when in York. My first visit for over 2 years even though I’ve been back to York several times since my last visit so a return was long overdue. 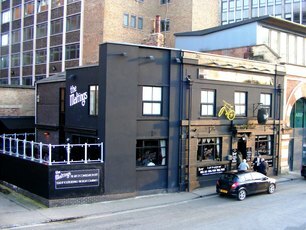 Extremely busy at 5.30pm on a Saturday, the bouncers were on but the crowd inside were very well behaved. Quick service from the bar staff, this is a well oiled machine when it’s busy and glass collection is key, nothing left to be knocked over or any dirty tables. 7 hand pumps with cask ales plus another 4 with craft on. A real mix of breweries and styles. I went for a pint of Bragdy Heavy Industries Electric Welsh Landyland @ 5.5% on cask, as I’ve experienced here before the ale is well kept and this pint was no different. In addition there's at least 6 good quality European lagers and 2 ciders available on draught and a large number of craft cans and bottles, this really is a ale drinkers heaven. The décor is well thought out with a large quantity of old advertising signs and newspaper cuttings lining the walls. I love this pub, it’s easily one of my favourites in the country let alone York and I really should visit ever time I’m in the City. If you haven’t been, then I suggest you make a visit.